Lake Medical Imaging introduced CT Lung Density Analysis (LDA) as a quantitative imaging biomarker to assist in the diagnosis and management of COPD. This groundbreaking imaging software analyzes a patient’s lung function as they inhale and exhale and enables physicians to more accurately diagnose and treat the disease. Once again, our radiologists lead the way for excellence in patient diagnoses and care. 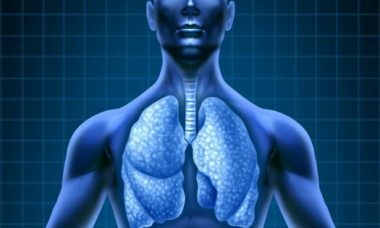 A new noninvasive imaging technique can identify small abnormalities in the airways of patients with chronic obstructive pulmonary disease (COPD), according to research published in the American Journal of Respiratory and Critical Care Medicine. The technique, Parametric Response Mapping (PRM), measures a patient’s lung density as they inhale and exhale. An international team of radiologists, pulmonologists, thoracic surgeons and pathologists all worked together on this research, noting it has traditionally been difficult to detect small airway disease early without surgery. The study’s authors examined 33 lung tissue samples from 11 COPD patients and 22 control lung tissue samples from three healthy patients, determining that PRM could accurately identify small airway disease. The NHLBI funded this study.